Located in Knoxville, Tennessee, the Fountain City Law Group is here to help you establish and enforce your final wishes in order to protect yourself and your loved ones for the future. To that end, we offer exceptional, comprehensive estate planning and administration services to individuals and families throughout Knox County and all of the surrounding areas. Our law firm's founding attorneys, Joel A. Cannon and Mark E. Tillery, possess more than 30 years of legal experience between them, making us well-suited to handle your needs and help you devise a plan that meets your specific goals. The last thing you need when a loved one passes is the added stress of how to handle the person's estate. We are here for you during this difficult time, and we promise to work closely with you and provide ongoing support throughout probate and all other legal proceedings to help smooth the process toward ensuring you receive the inheritance you deserve. In addition, we also serve families with aging family members or children with special needs in developing effective conservatorships and guardianships, and our law firm provides exceptional support to the disabled in their efforts in securing their rightful Social Security Disability benefits. If you have a family-run business you want to pass on to your heirs, we have extensive experience with business succession planning as well. 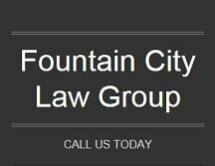 No matter your needs and regardless of how large or complex your estate, you can find the trustworthy advice and dedicated support you need at the Fountain City Law Group. For more information, you can contact our law office to schedule a free initial consultation.